“What is the best way to visualize data?” asks Lee Feinberg, president of DecisionViz. Lee is standing in front of 17 data managers from across the StriveTogether Cradle to Career Network, all of whom are intent on identifying the correct answer. They offer several suggestions in response to his question — pie charts, bar graphs, scatter plots. With a knowing look, Lee states, “The best way to visualize data is whatever is most effective to achieve your result.” Even in the world of data — a world that can often seem rife with technical solutions — we see that achieving result is fundamentally rooted in adaptive solutions. 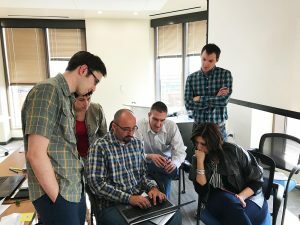 The data managers were gathered in February for a convening of the second cohort of its data analytics fellowship program offered in partnership with Tableau Foundation. 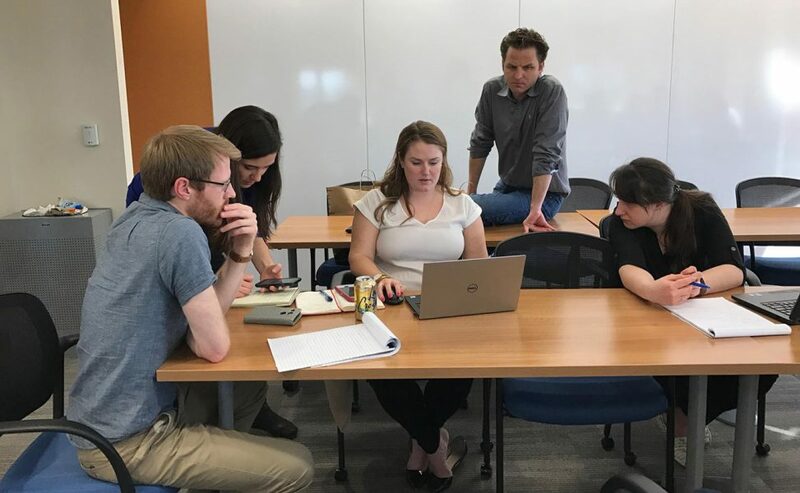 The fellows are using Tableau data software as a tool to help build a continuous improvement culture and data-driven decision-making in their local community partnerships. 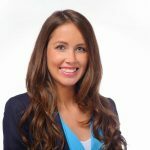 They met at the Tableau corporate offices in Austin, Texas, to learn strategies and best practices for maximizing impact in data visualization. The fellows also had the opportunity to work with experts like Feinberg — and one another — to address key challenges and advance their own visualizations. Focus on intent before content. The purpose and informative capabilities of a “viz” should come before the data is actually shared. Keep the “viz” simple. Get rid of components that are challenging for people to understand. Help create insights for viewers. Think about your end user and determine if the “viz” makes sense for informing the decisions they need to make. Although it’s not a “silver bullet” solution for the sophisticated data infrastructure needed to improve educational outcomes for kids, Tableau helps data managers communicate complex information in a simple way. One data visualization can be worth a thousand data points. The Adams County Youth Initiative (Adams County, Colo.) is using Tableau to highlight attendance data to decrease chronic absenteeism. Identifying and targeting supports to local transient families is a focus area for 90% by 2020: Anchorage United for Youth (Anchorage, Ala.). The P16Plus Council of Greater Bexar County (San Antonio, Texas) is creating annotated run charts that depict completion rates for federal college student aid applications over time and the interventions that improve those numbers. The fellowship program participants are halfway through their eighth-month journey to use data to drive action and help partners involved in their local work make more informed decisions. The cohort will meet in person again in April and June. Bridget, thanks so much for this post. I’m initiating several data-visualization projects in my own organization without much guidance or expertise. How much consider or effort do you invest in the presentation of the final “viz?” Is it meant to be viewed on an phone screen, or projected in an auditorium?